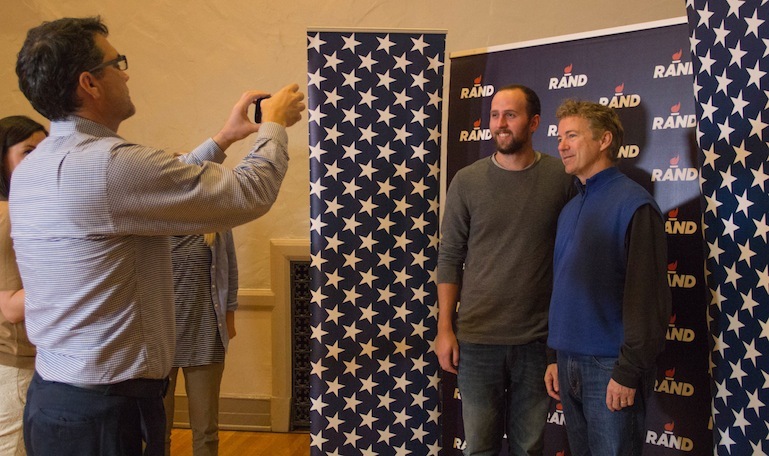 Sen. Rand Paul (R-Ky.) let people take pictures with him during his campaign swing through 11 Iowa college campuses Oct,. 12-14, 2015. He's show here at the University of Northern Iowa in Cedar Falls on Oct. 13. We’re just one year away from the 2016 election, and on this program, we’ll hear what’s on the mind of voters just three months from the Iowa caucuses. “Being retired, what’s important to me is maintaining Social Security and Medicare,” said Jodine Cromie, an Iowa voter. IowaWatch asked student journalists in cities across the state to ask voters about specific issues, finding a variety of opinions among Iowa voters. A new Center for Public Integrity and Global Integrity survey on state government transparency and accountability is out, and Iowa did not fare well in the State Integrity Investigation.